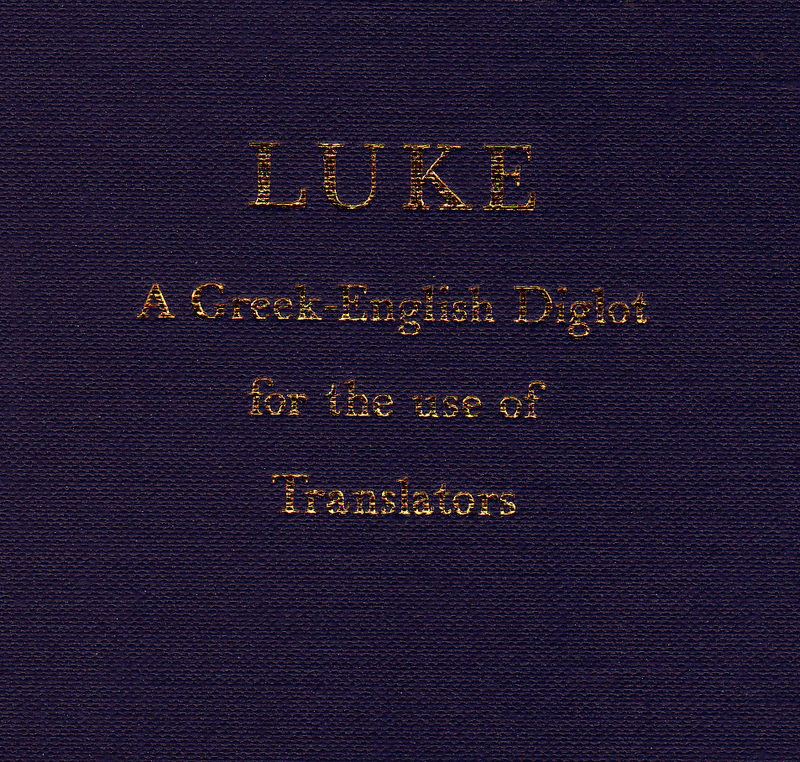 The Greek–English Diglot for the use of Translators was issued for private circulation by the British and Foreign Bible Society between 1958 and 1964. 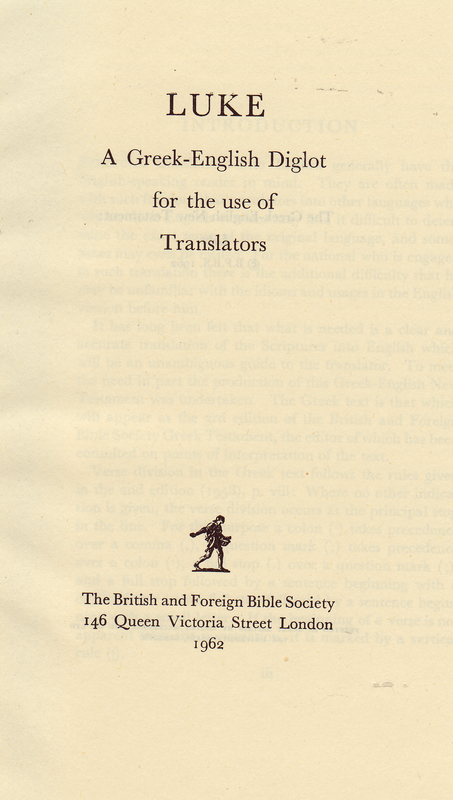 The director of this project was William Duff McHardy (1911- 2000), Regius Professor of Hebrew at Oxford from 1960 until 1978, and one of the editors of New English Bible (NEB). 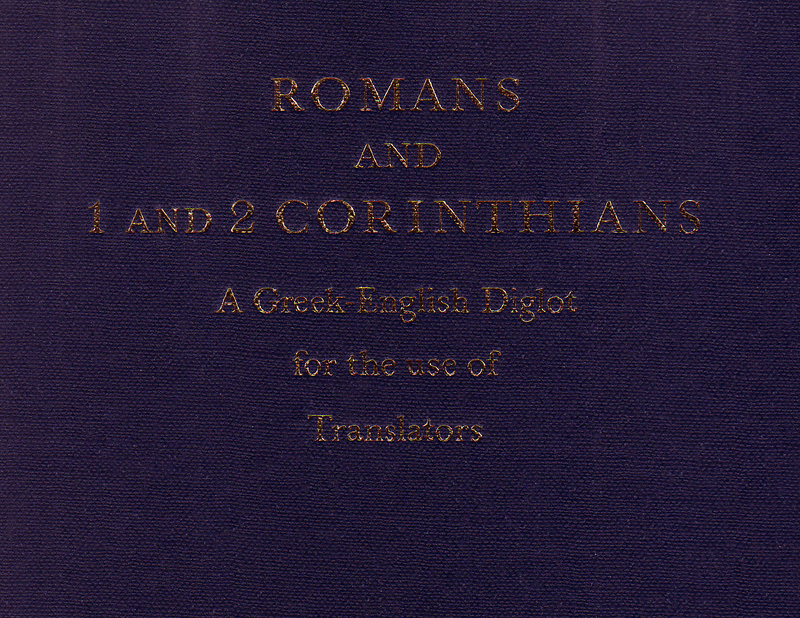 Each volume contains the Greek text with an English translation on facing pages, and proves useful to students and teachers in general, not only to translators. 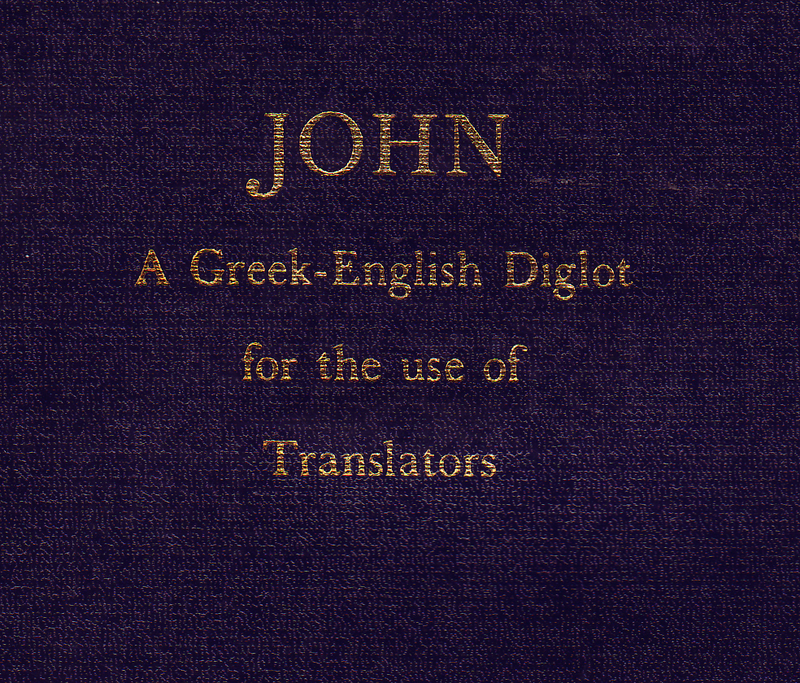 It is a pity that this project had to be abandoned unfinished after the publication of the seventh volume with altogether eighteen books of the NT. 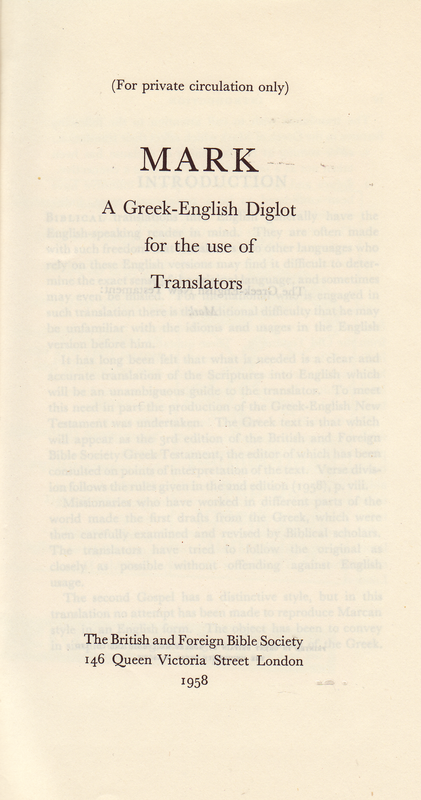 W. D. McHardy, after the discontinuation of the Diglot, initiated a new New Testament project which was published in 1973: The Translator's New Testament; it replaced in a large measure the unfinished Greek–English Diglot. 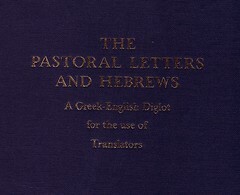 Click here for sample verses from the Greek - English Diglot version. Comments: Hardbound large octavo, thread stitching; IV, 70 double pages & pp 71 - 78. 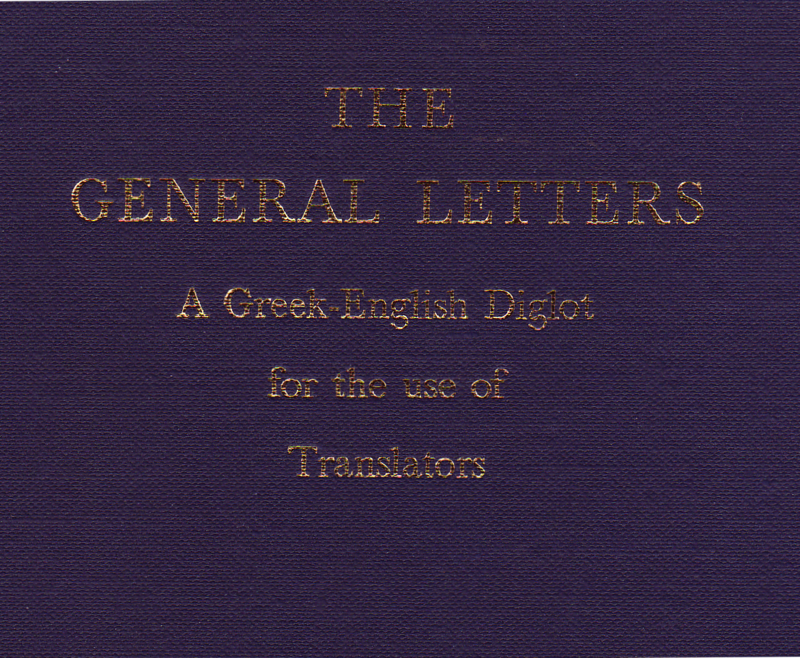 The Greek appears on the left, the translation on the right of a double page. 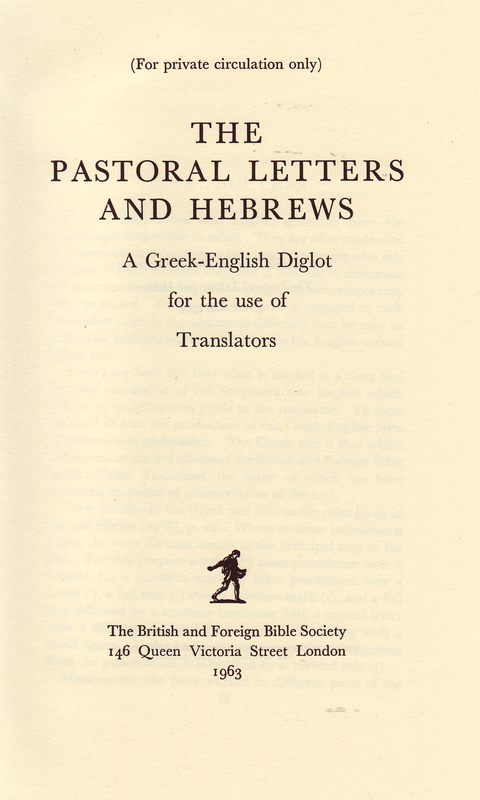 References to the OT in the footnote under the Greek, brief explanations and alternate readings under the English translation. In- text quotations from the Hebrew bible printed in italics. 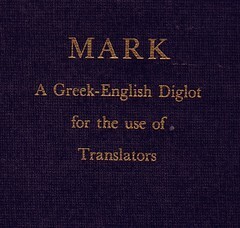 The translation is true to the original form and very precise. The margins all over are wide and well suited for writing notes. Comments: Flexcover large octavo, thread stitching; IV, 44 double pages & pp 45-49. 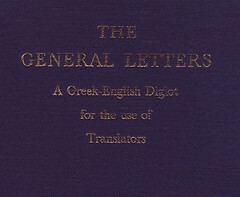 The Greek appears on the left, the translation on the right of a double page. 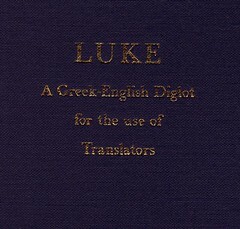 References to the OT in the footnote under the Greek, brief explanations and alternate readings under the English translation. Quotations from the Hebrew bible printed in italics. 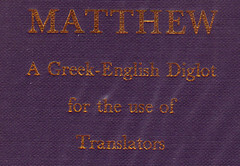 The translation is true to the original form and very precise. The traditional ending of ch. 16 has been printed in smaller characters and remarked: "Many witnesses add verses 9-20. 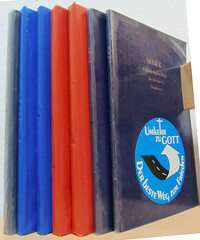 - The margins all over are wide and well suited for written notes. Comments: Hardbound large octavo, thread stitching; IV, 75 double pages & pp 76-84. 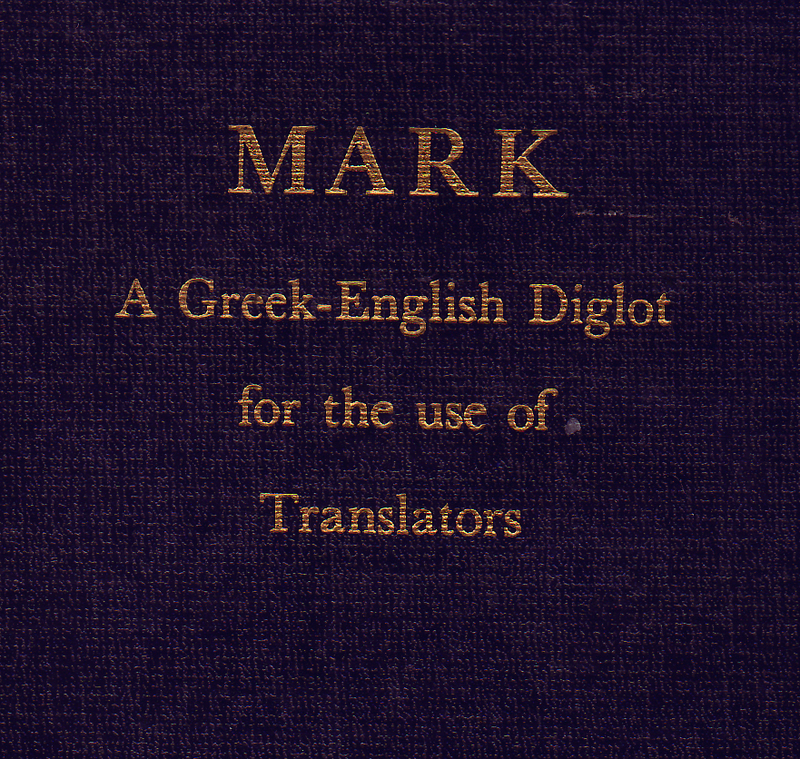 The translation is true to the original form and very precise. The margins all over are wide and well suited for written notes. Comments: Flexcover large octavo, thread stitching; IV, 55 double pages & pp 56-(62). 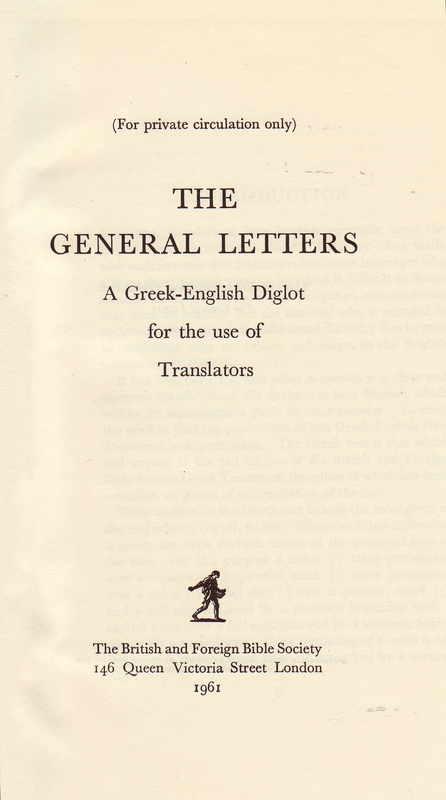 The Greek appears on the left, the translation on the right of a double page. 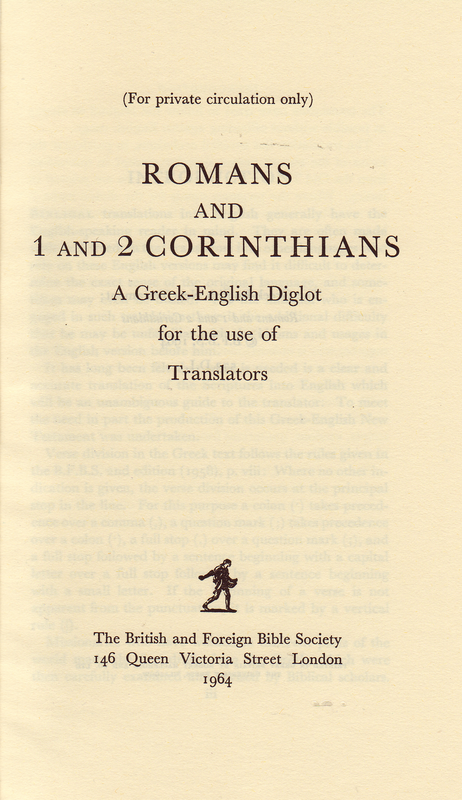 References to the OT in the footnote under the Greek, brief explanations and alternate readings under the English translation. Quotations from the Hebrew bible printed in italics. The story of the woman caught in adultery is printed in the footnote with the remark: "Some witnesses add vv. 7:53 - 8:11" . 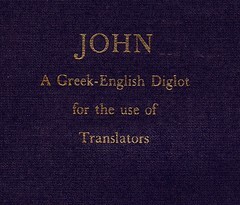 The translation is true to the original form and very precise. 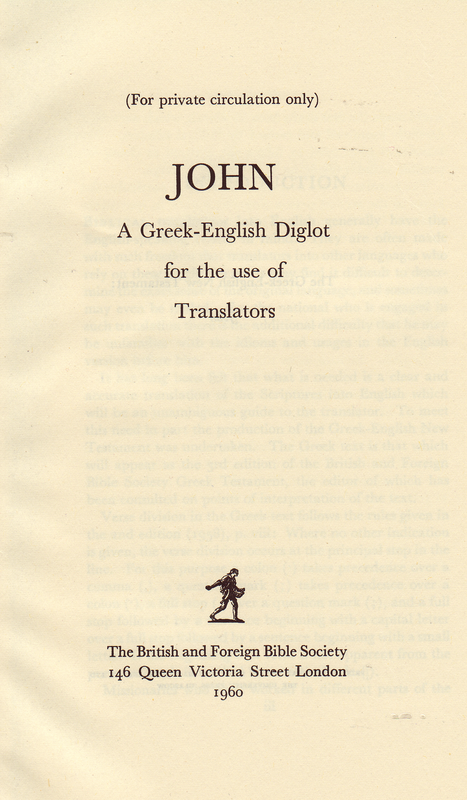 Explanations at times give the translator's opinion as a fact. - The margins all over are wide and well suited for written notes. Comments: Hardbound large octavo, thread stitching; IV, 73 double pages & pp 74-82. 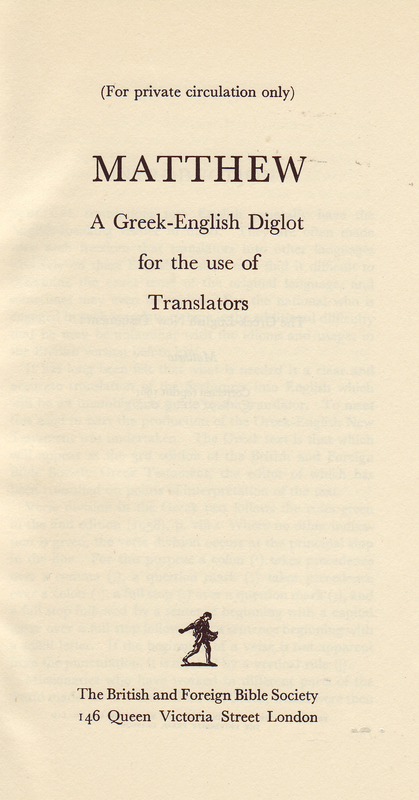 The translation is true to the original form and very precise. Regarding the final two verses of Romans 16, the note says: "Some witnesses omit vv. 25-27; others insert them after 14.23." — The margins all over are wide and well suited for written notes. 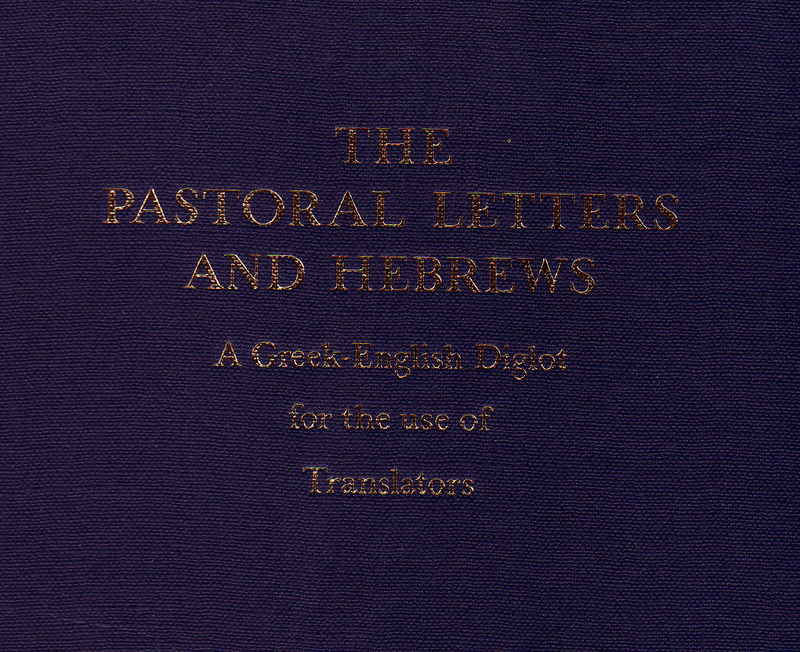 Comments: Hardbound large octavo, thread stitching; IV, 40 double pages & pp 41-49. 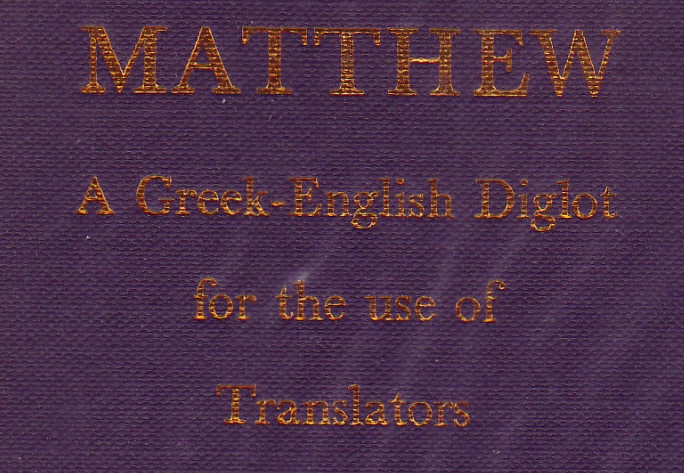 The translation is true to the original form and very precise. 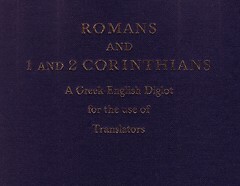 It is interesting to note that the translators of this so called "critical text" (as is the UBS basis here) render 2 Tim 3:15 in the main text as follows: >Every scripture is inspired by God and is profitable for teaching, for reproof, for correction, for training in righteousness, that the man of God may be sound and fully equipped for every good work< and the alternate reading >Every scripture inspired by God is also profitable…< in the footnote. — The margins all over are wide and well suited for written notes. 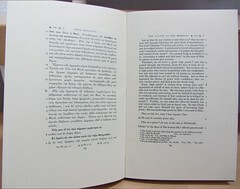 Comments: Hardbound large octavo, thread stitching; IV, 34 double pages & pp 35-(41). The translation is true to the original. — The margins all over are wide and well suited for written notes.